Aftermath of NYC Attack Demonstrates the Left's Insanity — Condition Yellow: Stay Alert. Stay Alive. 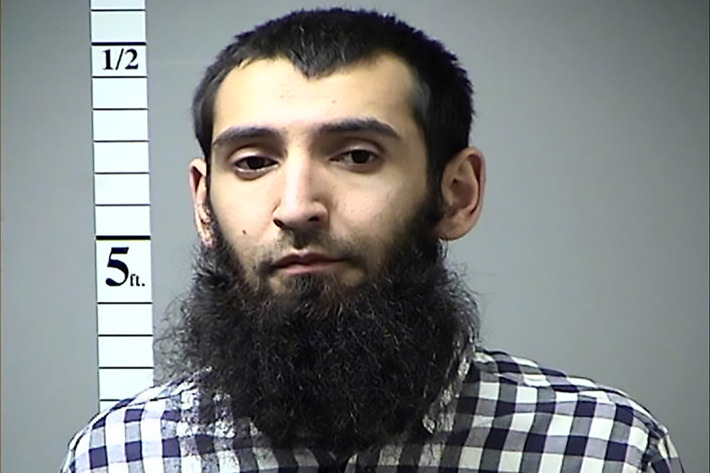 On Halloween, 29-year-old Sayfullo Habibullaevic Saipov tore through downtown Manhattan in a rental truck, striking at least nineteen people and killing eight, two of whom were children. It was the deadliest terror attack in New York since 9/11. Instead of uniting as Americans did after the World Trade Center attacks of 2001, leftists immediately set to work politicizing the event. The filthy animal behind the attack. Originally from Uzbekistan, Saipov entered the country in 2010, thanks to the Diversity Visa Lottery program. President Trump blasted the program and called for its end, demanding that entry to the U.S. be "merit based." You may recall President Trump's so-called 'Muslim ban,' which was slammed by the left as "islamophobic." Uzbekistan happens to have a 79% Muslim population and is not one of the countries listed in the ban, intended to tamp down on people exactly like Saipov. The Daily Wire reports that Saipov may have used his green card to get at least 23 other individuals entry into the U.S.
Sayfullo Saipov, 29, was rejoicing in his room at Bellevue Hospital after killing eight people and injuring 13 others along the Hudson River Tuesday, sources told the Daily News. There is a special place in hell reserved for Saipov, just below that of the one reserved for those that would use his attack for their own evil policies.